Andrew Taylor set out on the ultimate mountain bike road trip adventure, seeking to ride in all 48 continental US states. 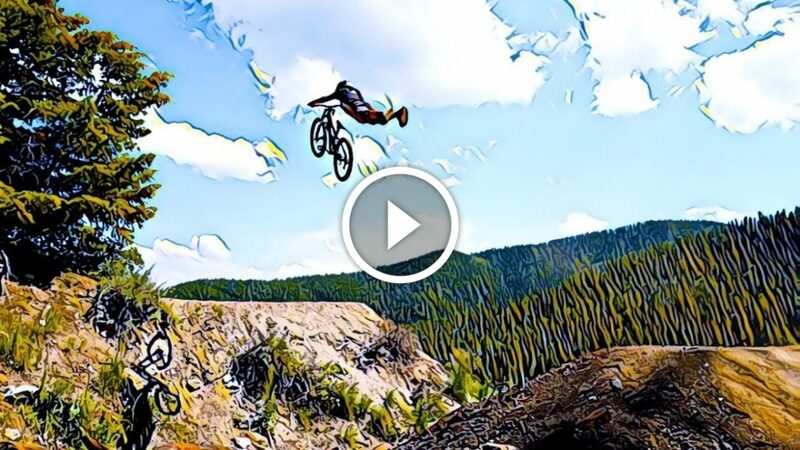 Video camera in tow, Andrew showcases the incredible riding that can be found all over the USA. Singletracks will post regular updates from Andrew as he completes his trip. After leaving Nebraska, I made my way up to South Dakota to meet up with a handful of the Black Hills locals. As I arrived in the area it poured rain nonstop for a four days. Once the rain finally let up, it was the perfect timing to meet up with Evan from Rushmore Mountain Sports and to check out the freshly built pump track in Sturgis. With a couple days of good weather, the trails dried out and I was able to get after some moto with Adam and some trail riding with a solid crew of locals. Thanks for the good times boys! Wyoming is a place that I’ve always wanted to check out but never had the chance until now, and it definitely didn’t disappoint! The epic trails on the Teton Pass and getting to check out Yellowstone made it my favorite state so far. Huge thanks to Bryce Carroll, Ian Haney, and Dustin Schaad for the good times! After Wyoming, I made my way into Idaho to meet up with my buddies Shelby Paget and Jake Stone who both live in the Boise area. This was the first state that I planned to stay in for two whole weeks but with a last minute trip up to Canada and my parents paying me a surprise visit, it was jammed-packed and full of good times.